Slowly but surely, GBP/USD sellers have taken control of the pair over the past couple of weeks. 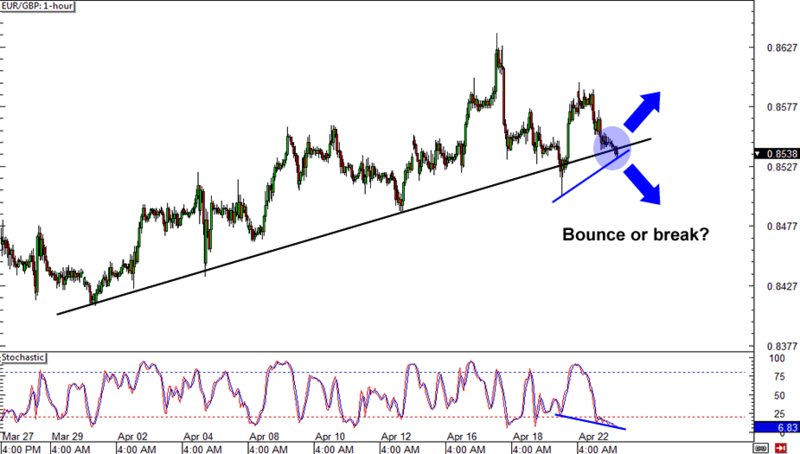 They’ve managed to drag it down a good number of pips after price topped out around 1.5400, and now it looks as though they may be preparing for another push… at least that’s what the bearish divergence is suggesting! If you want to get a piece of this trend, you might your chance just above 1.5300, where price meets the falling trend line. 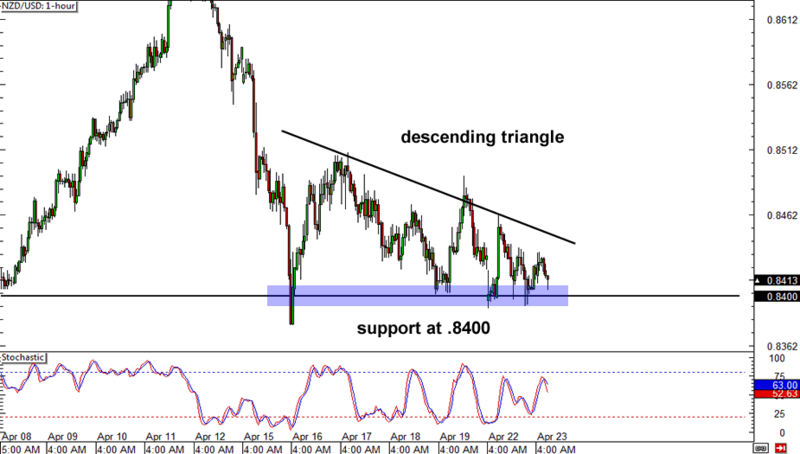 How do y’all like that descending triangle forming on NZD/USD’s 1-hour chart? The market has been forming lower highs and testing the .8400 support level for over a week now. If this level gives way, I wouldn’t be surprised to see another 100-pip move down to .8300. Keep tabs on this pair, homies! 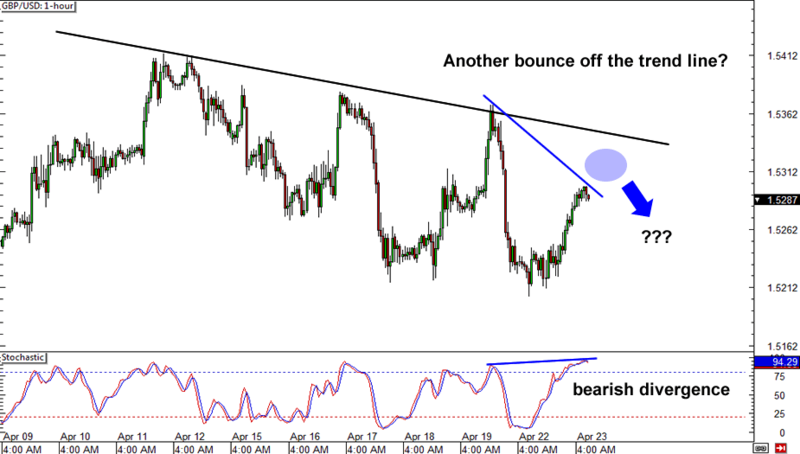 Rounding up today’s trio of setups is EUR/GBP with a bounce or break opportunity. As you can clearly see, the pair is currently giving the rising trend line on heck of a test. If sellers can manage to break through and hold below the trend line, price may just continue falling until it hits a previous low. On the other hand, if the trend stays intact, the market could end up retesting the .8600 resistance zone.